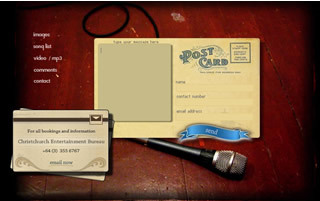 We create creative, standout web designs that acheive the results you want for your business. Clean, effective, easy to use. 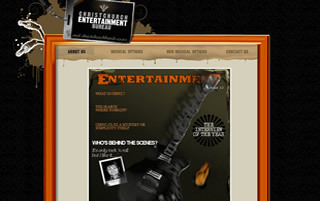 We were commissioned to create an original yet highly function web site for The Christchurch Entertainment Bureau, a well known entertainment agency with a range of musical and non musical acts available for hire. The basic design had to have a touch of 'Rock and Roll' yet keep to tried and true navigation and layout. The site features audio and video playback, a shortlist function and MYSQL database functionality. 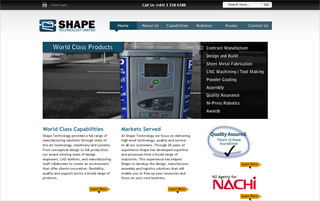 Shape technology needed a clean, modern, search engine friendly design to replace their current web site. We decided on a design that makes good use of white space to create a clean uncluttered look that allows the content on the page to be easily digested, focusing the eye to the key points of each page. The result is a modern functional web site that show cases the various capabilities and services this high-tech company is capable of. Update: this website has now been changed by the new owner unfortunately and so a live site is no longer available. 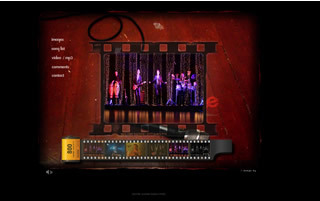 The Christchurch band puree requested we create a simple but visually appealing Adobe flash web site combined with a HTML & CSS site as an alternative to the flash content. A key point in the design brief was that the site had to load quickly and be easily updated, so a lean modular design was used to achieve this. The design makes use of a dynamically loaded image gallery that allows easy updating via a content management system. Simply contact us and book a free no obligation consultation and we will discuss your business and the needs of your customers and any ideas and goals you may have for your future web site. Our goal is simple. 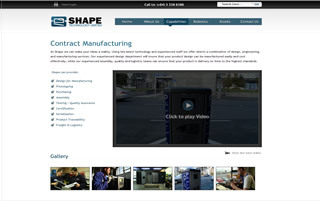 Create a great looking, functional web site for your business that works for you.